Wireless sensor networks are becoming more popular because advances in sensor technology, low-power electronics, and low-power radio frequency design have enabled the development of small, relatively inexpensive and low-power sensors—called microsensors. These wireless microsensor networks represents a new paradigm for extracting data from the environment, and enable the reliable monitoring of a variety of environments for applications that include surveillance, machine failure diagnosis, chemical/biological detection, habitat monitoring, and environmental monitoring, etc. An important challenge in the design of these networks is that two key resources—communication bandwidth and energy—are significantly more limited than in a tethered network environment. These constraints require innovative design techniques to use the available bandwidth and energy efficiently . 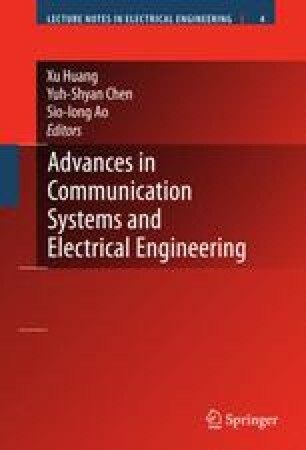 Communication consumes the largest part of the energy budget in wireless sensor networks. Hence, attempts must be made to implement techniques to save energy on communications. This chapter discusses classification techniques using the ART1 (Adaptive Resonance Theory) and Fuzzy ART (FA) neural networks models.